NFL historians love to put "names" on a memorable game as a reference point in history for when people relive those spectacular moments. Throughout the NFL's now 52 Super Bowl seasons we've got plenty of famous names for games like "The Immaculate Reception," "The Holy Roller,"The Comeback" and more recently "The Music City Miracle," and "The Tuck Rule." Many of those famous games have come during the playoffs, but there are an extraordinary amount that have come during Conference Championship weekend. With the stakes as high as they are this week and pressure mounting, it's no wonder some of the most memorable Conference Championship games get tagged with these memorable monikers. Cleveland Browns fans haven't had really anything to cheer about the past few years - especially after going 0-16 SU in 2017, but when you bring up the topic of famous NFL games with names + Conference Championship weekend, you can really get their blood to boil. That's because two of the most infamous games during this weekend in NFL history are simply known as "The Drive" and "The Fumble." This was the 1987 AFC Conference Championship game between Cleveland and Denver with the Browns holding onto a 20-13 lead at home with 5:32 left in the game. Denver had just muffed the kickoff to put the ball on their own 2-yard line, needing 98 yards to go to just tie the game. Play after play the Browns defense kept giving up ground and giving up ground, as QB John Elway begain to write his legacy by ultimately driving the Broncos 98 yards for the tie. Denver went on to win the game in OT to kill Cleveland's season and many point to this loss as the start of everything disastrous that's happened to the Browns since. 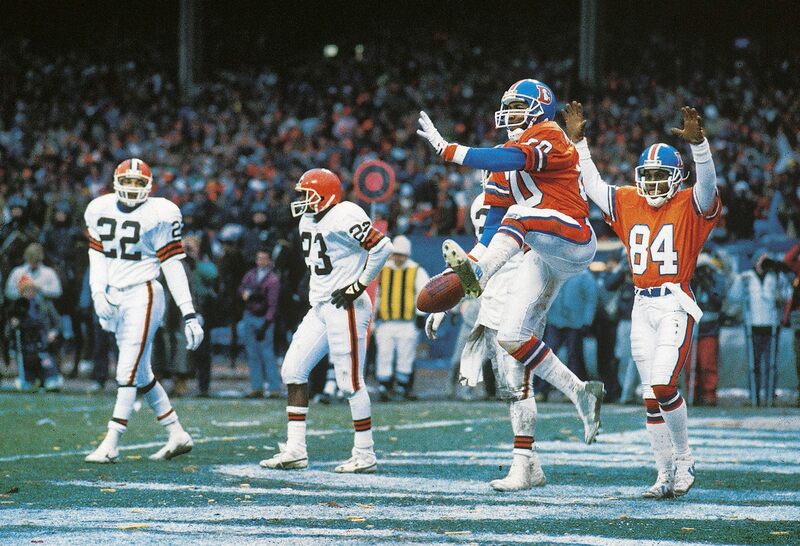 The 1988 AFC Conference Championship featured Denver and Cleveland going at it again, this time in Denver. This time it was Cleveland in position to score a game-tying TD late when RB Earnest Byner fumbled the ball on the way into the endzone only to have the Broncos recover. For the second straight year the Browns hopes of making a Super Bowl were crushed by the Broncos in excruciating fashion, and no discussion about great Conference Championships in NFL history would be complete without referencing Cleveland's heartbreak in the late 1980's. Cleveland Browns fans aren't the only fanbase in the NFL to experience heartbreak during this week and seemingly minutes away from a Super Bowl berth. They are just the organization to experience multiple heartbreaks in succession during this week. In fact, the most famous named game during this weekend came at the beginning of the 1980's and it sparked a dynasty out West. It was simply known as "The Catch." Leading up to the 1980-81 season, the San Francisco 49ers had long been the laughing stock of the league. In fact, it's easy to compare the 49ers of the 60's and 70's to the modern day Cleveland Browns in terms of downtrodden franchises unable to win games and garner respect. But all that changed in 1979 with QB Joe Montana came to town and it turned around forever with the 1981 version of the franchise. San Francisco had become a winner that year and found themselves in the 1982 NFC Championship game against the dominant team of the era; the Dallas Cowboys. 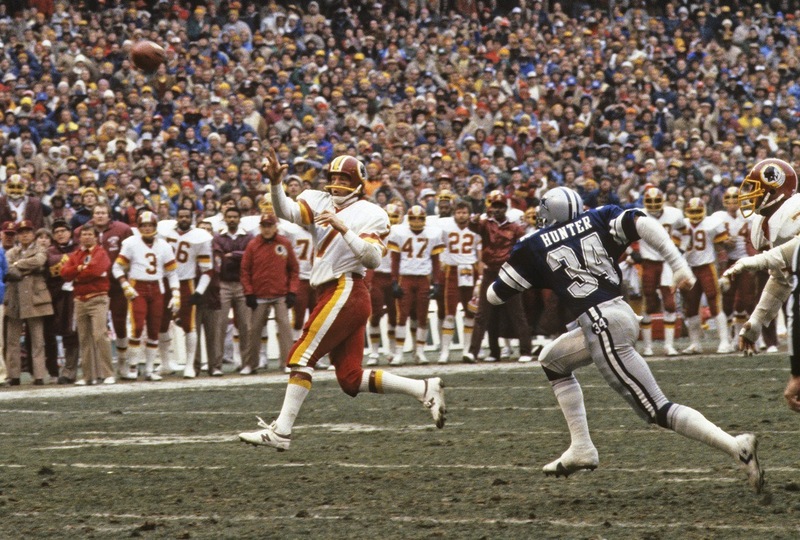 Dallas was up by six points with under a minute left when Montana scrambled for his life, threw up a high pass to the back of the endzone, and watched as it was halled in by TE Dwight Clark for the TD. San Francisco held on for a one-point win and eventually won the Super Bowl, but Clark's catch is forever enshrined in the memories of football fans everywhere. That win propelled the greatness of the 1980's we saw from the 49ers (4 Super Bowl titles), and it all happened during Conference Championship weekend. During this decade there haven't been any Conference Championship games that had finishes worthy of these historical names, but that doesn't mean there haven't been exciting finishes in their own right. 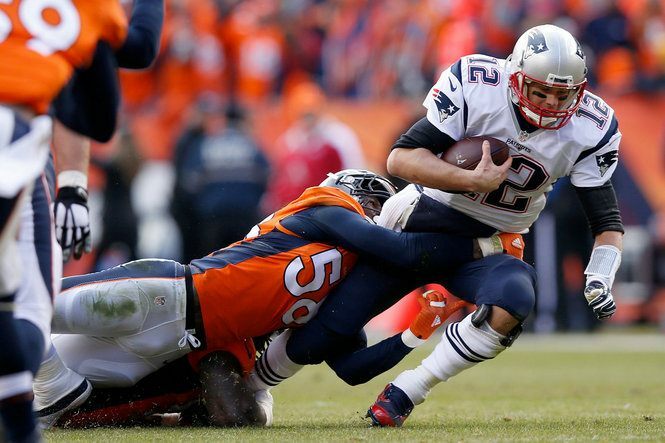 The 2016 AFC Championship game had the Denver Broncos stop a 2-pt conversion in the final minute vs New England to preserve a 20-18 win to go to the Super Bowl in what turned out to be Peyton Manning's final season. Finally, the fate of San Francisco's franchise may have turned for the better in 1982 with "The Catch," but they've been the team of the 2010's that has experienced the most hearbreak during this weekend of play. In the 2011 NFC Championship game the 49ers and Giants were locked up in a tight game that eventually needed overtime to be decided. It was there that punt returner Kyle Williams muffed a punt, giving the ball to the Giants well within FG range and allowed them to punch their ticket to the Super Bowl. San Francisco would overcome that dispair the following year by winning the NFC title, but saw their bid in the Super Bowl the following week come up short when they were stopped on a 4th and goal. Speaking of getting stopped on 4th and goal, San Francisco made it to their 3rd consecutive NFC Championship game after the 2013 season and were in Seattle to face the hated Seahawks. It was there that the 49ers were stopped on 4th and goal again as Seattle DB Richard Sherman knocked down the game-winning pass and became famous for his ranting, screaming post-game interview afterwards. Potential 2018 Memorable Championship Games Brewing? Given that this year's games pit the powerhouse New England Patriots against the young Jacksonville Jaguars and two backup QB's squaring off in the NFC Championship game, depending on how they play out and the results we get, we could get a few more "named" games to end up in NFL lore. Jacksonville going up to New England and knocking off Tom Brady and the Pats would be memorable no matter how it happened.